We offer IT support, professional IT project delivery and expert IT advice.We support small and medium-sized business throughout UAE, Abu Dhabi. Sunrise Computer & Network LLC. We offer a wide range of Computers Services Laptop, Notebook, Desktop, Printer and Monitor Repair Services in Shabia 10, Mussafah and Abu Dhabi. We offer a variety of service for small and large scale printers like printer installation, maintenance and repair solutions. Our main focus is importance of a Managed Print Strategy and to reduce expenses on machine maintenance. 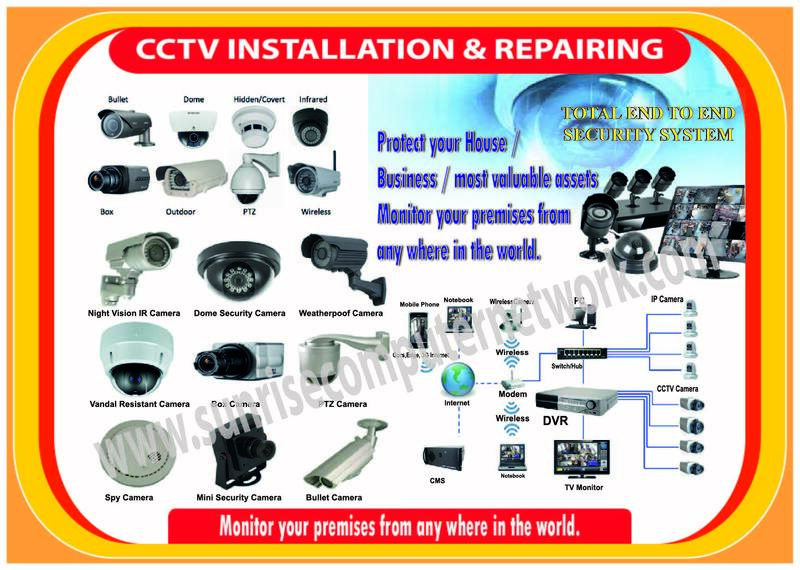 We can provide protect your house, business, most valuable assets, monitor your Premises From anywhere in the world and we can provide cctv installation and reparing. 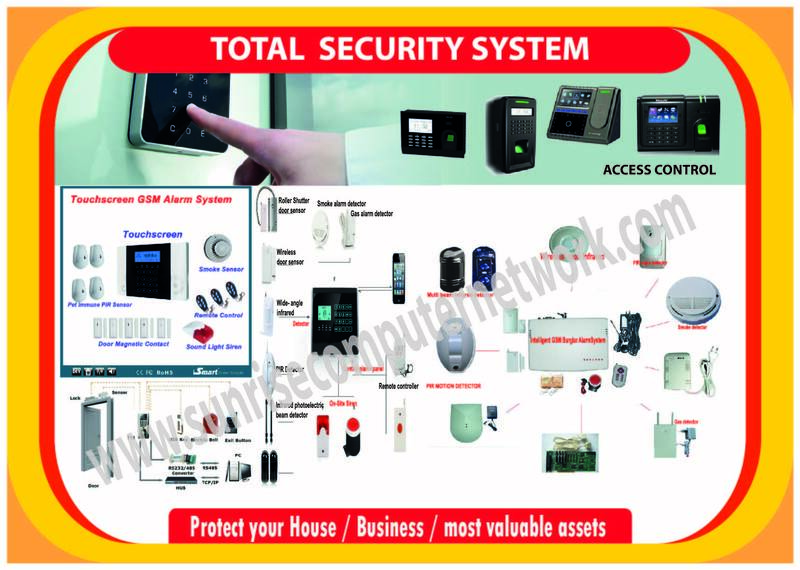 We can provide high Security system such as Access Control Systems, Touchscreen GSM Alarm system,it has smoke sensor, pet immune PIR sensor, Remote control, Door Magnetic Contact, Sound Light siren. Sunrise Computer and Network LLC services provides complete and professional solution for all web design, logo design. 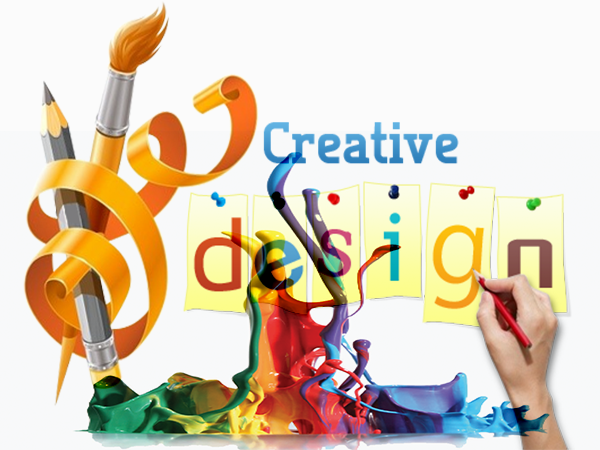 The team has many years of experience in the web designing industry. Sunrise Computer & Network LLC provide you with search engine optimization services that allow you to concentrate on running your business in Abu Dhabi and Dubai. We are identified as one of the reliable companies offering Annual Maintenance Contract for Computers in Abu dhabi, UAE. 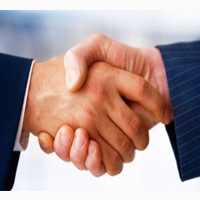 Our company offers services in compliance with clients’ requirements. We ensure high degree of quality. Sunrise Computer & Network LLC has developed skills to understand and develop applications that help in resolving business problems faced by clients. 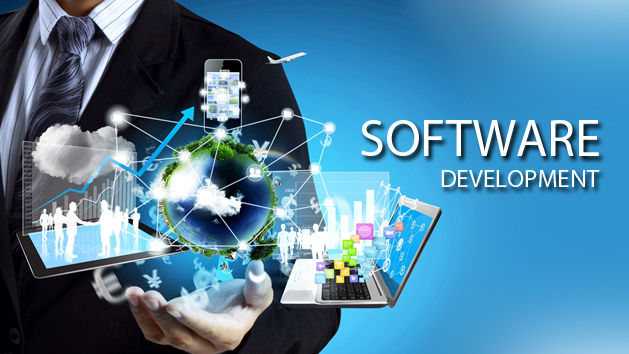 We have developed a high level of expertise on Microsoft technologies and frameworks created for software development. Po Box: 146519, C 79, P/334, Shabiya ME/10, Near Emirates Future School, Mussafah, Abudhabi, U.A.E. Our goal is to deliver the best and quality services and is one of the growing IT solution and service providers.! Our business model focuses on having long-term strategic relations with our clients by providing a combination of high quality, cost effective and on time delivery of solutions! We have been continually investing in maintaining the infrastructure to provide best of work environment to our team members and to serve our customers better! We train our team members to understand your needs as well as to maintain excellent quality across all the services provided by us! Thank you for your interest in Sunrise Computer and Network LLC. We consider our employees to be our greatest competitive advantage and the most necessary element in achieving our mission of quality with integrity. Our company is comprised of diverse individuals who bring rich experience, skill, talent, perspective and culture to the table. We want employees who continue to challenge themselves and seek out exciting opportunities to grow personally and professionally. If this sounds like something you fit into, do apply. 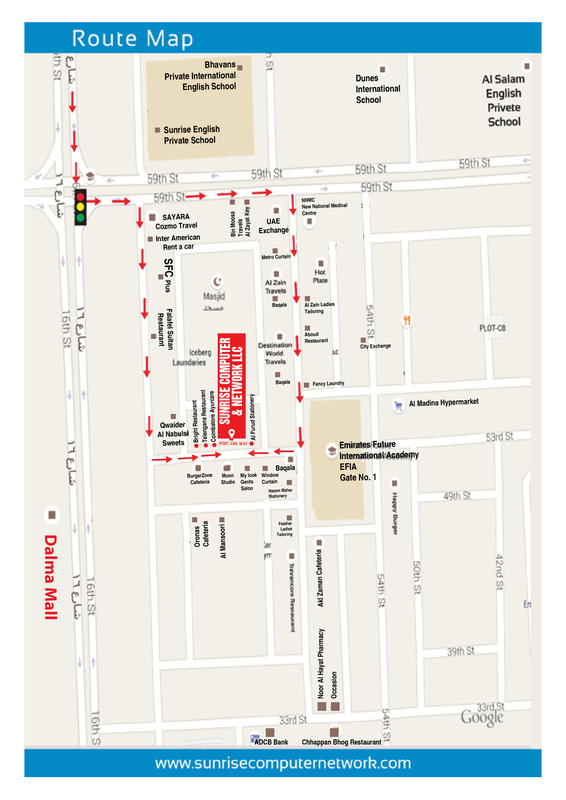 Address: Po Box: 146519, C 79, P/334, Shabiya ME/10, Near Emirates Future School, Abudhabi, U.A.E. We handles IT and Network Support and installing business computer networks across UAE. 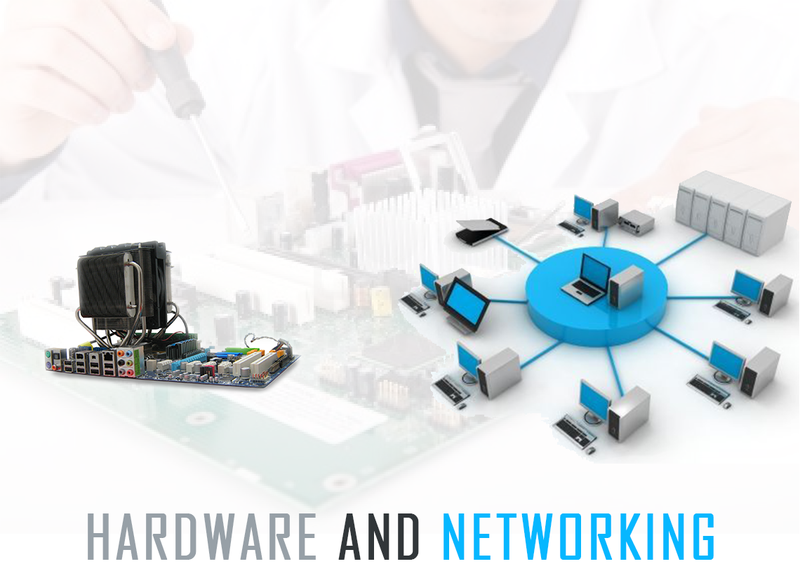 Hardware and Networking is a vast field in UAE. 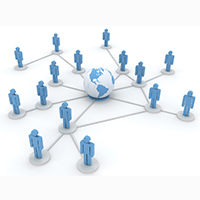 It refers to exchange of data and information by linking the group of networks using computer hardware such as switches, hubs, gateways, access points, network interface cards, networking cables. 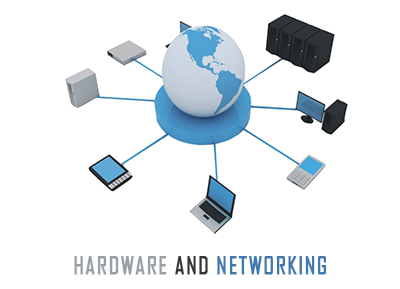 To be more specific, hardware and networking includes all peripherals, computers, interface cards and other tools required for communications and data processing in the network. Sunrise Computer & Network LLC specializes in IT and Network Support and installing business computer networks across UAE. The Networking Company provides broadband, internet services, hardware, offsite backup and VPNs to UAE businesses. We are computer hardware professionals who take care of the maintenance of computer hardware as well as networking which involves connecting a group of 2 or more computer systems for sharing data and information. Besides looking after computer maintenance we are also liable for supervising and designing the hardware documentation, diagrams and acquisition process. 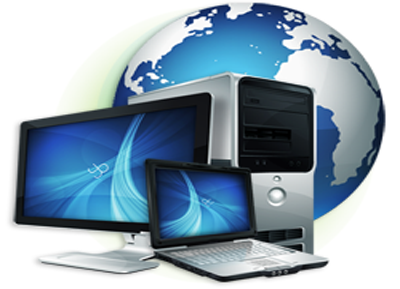 The increasing use of computer, laptops and internet has expanded the scope of hardware and networking sector widely. WAN needs to suit every kind of requirement . Site Planning using operation research techniques & scheduling cable layout. Network Security Planning & Implementation. Sunrise Computer & Network LLC. 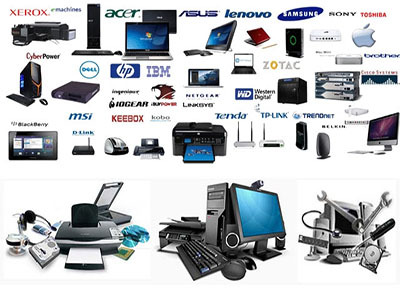 We offer a wide range of Computers Services Laptop, Notebook, Desktop, Printer and Monitor Repair Services in Shabia 10, Mussafah and Abu Dhabi.. The main core of our business is on site and in house/Office service, troubleshooting and repair of PC, Laptop hardware and software. 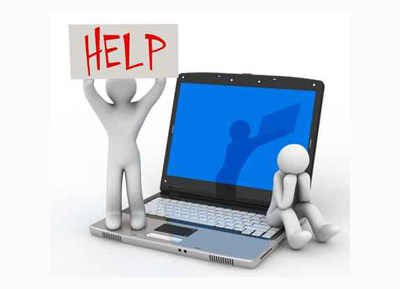 If your PC, Servers, laptops, thin clients, workstations, printer, scanner or any other device is not working properly, or a bit of software does not work like it used to, call us, and we will solve your problem. 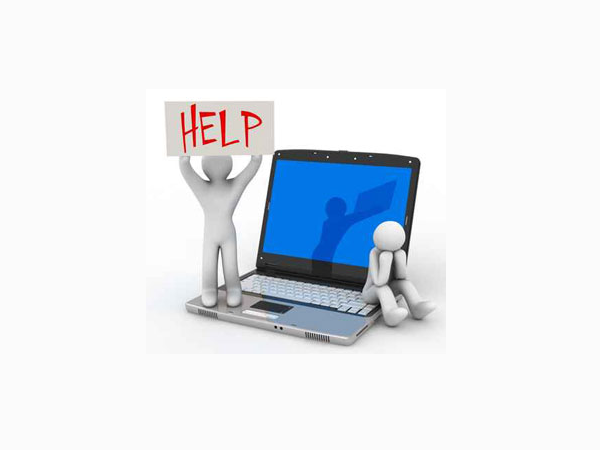 We can provide computer support on a regular basis and make sure that everything is in order. 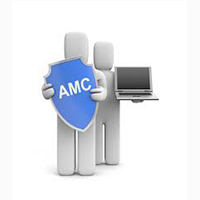 You can avail our computer repair services or Annual Maintenance Services (AMC). Through our computer support, you can keep your computers and all other IT enabled systems up and running and keep your employees productive. Appointments can be made at times to suit you; evening and weekends attract no extra charge. 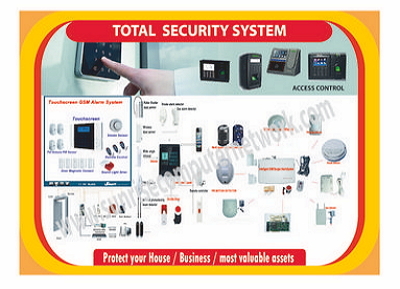 We can provide high Total Security System such as Access Control Systems,Touchscreen GSM Alarm system. Sunrise Computer & Network LLC is the leading Access Control provider in Abu Dhabi and we do total solutions for security applications, access control solutions, smart card solutions, time and attendance solutions, secure identification. Our Access control enables you to control who has access to your Premises. Locks and keys also allow you to secure your building, but when keys are lost or stolen, the inconvenience and expense of changing locks and re-issuing keys can be considerable. Keys may also be copied, creating even more security risks. Our development teams are focused on designing systems that are fit for their purpose, containing the important features that are necessary for well-run organizations. Our commitment has resulted in our products winning a reputation for reliability and ease of use. 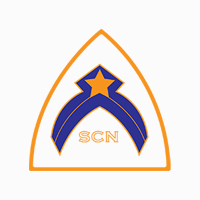 The Sunrise Computer & Network LLC solutions replace keys, PIN codes, and passwords, and enhance security and functionality in ID cards and electronic passports with biometrics. It offers a range of products, such as Biometric Logical Access, fingerprint access to computers and networks; Fingerprint readers using smart card; Fingerprint readers; Biometric Physical Access for fingerprint access to buildings and premises; and Smart Card Related Products, such as software for national ID cards, electronic passports, and corporate ID cards. The company offers Bio Match Software, Bio Match Toolkits, and Smart Card Software Solutions for integration of Bio Match technology in handheld computers, point-of-sales terminals, and other devices. Sunrise Computer & Network LLC is the leading supplier of time and attendance systems and time tracking for small to medium-sized businesses. Select from complete solutions featuring time and attendance software and a biometric (fingerprint), RFID, or barcode time clock. Time and Attendance access control series featuring biometric fingerprint verification sensor and technologies, the devices are used to install on the door entrance with built-in time and attendance management software to better manage multi-access points attendance control and duty roster arrangement. Biometric Time Attendance Reader ensures that no employee can punch in for another, which eliminates time fraud and reduces payroll costs. Because every person’s fingerprint, iris, voice, retina, face, hand, vein and signature are unique, a biometric time clock provides a quick, accurate, and reliable way to record “In” and “Out” punches for each employee. That is why many companies now employ biometrics. In recent times, there are large numbers of Biometric Systems that are commercially available. Such Biometric systems are based on unique characteristics of human being. The most common, reliable and successful system is the one based on Finger Prints. Users are supposed to put their thumb/index finger (or any specified finger) in the finger reader. The system then compares the finger print that is read with that in the central database for authentication. Most of the Biometric Systems do not keep an image of the fingerprint but a template. A template is basically a number that is calculated based on various characteristics of the fingerprint. Such an approach is desirable so that unauthorized persons may not sneak in unauthorized images of finger print in the database. When a Finger print is to be matched, it's 'template' number is computed and compared with that stored in the database. Most systems allow for dry, greasy, chaffed and minor cuts on the fingers. The other biometric systems are based on 'Retina of the eye', Palm, photograph or voice pattern recognition. The Palm based systems take the image of the palm from various angles and compare the same. The system that is based on Finger Prints is most popular and economical. .
Easy to use, powerful time and attendance solution that allows you to automate your company's timekeeping and attendance tracking. With built-in setup wizards and simplified daily operations, the Time & Attendance solutions completely eliminate paper& time sheets. Employees clock in and out at a data terminal using the badges that are included with the system. The data terminal seamlessly transmits employee punches to the software which automatically applies your company rules. Adjusts schedules quickly and re-deploys staff due to unforeseen changes. Accessible anytime, anywhere via the internal emails, giving maximum control and convenience to supervisors, schedulers, and agency heads. The Attendance Cards serves as an easily available Identification card as well unlike the conventional Electronic Time recorders. Overtime criteria can be set to control the authorization of overtime thereby reducing overhead cost on un-scheduled overtimes. Our company provides installations, upgrades and maintenance services for PABX/PBX Telephony and PABX/PBX phone systems using VOIP. We also offer products, such as PABX/PBX Telephone Systems, PABX/PBX Phones, VoIP Gateways, and Memory Cards. Contrary to a common belief that these PABX/PBX systems are expensive, we can show you that you can get enhanced communication for your business or for your smart home at very low prices. 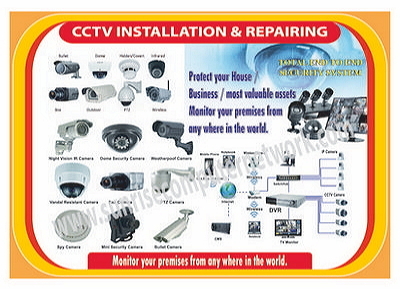 Sunrise Computer & Network LLC is also into Installation, maintenance and sales of CCTV security systems, Camera, DVR, PTZ Camera, WDR camera, IP Camera, CCTV control room and CCTV security monitoring room in Abu Dhabi and Dubai. We provide Infrastructure Solutions for CCTV systems, Cable running, Cable conduiting. With large scale development in Abu Dhabi and Dubai, the need for CCTV and other security and surveillance solutions and services has risen greatly, but with a lack of experienced solution providers and equipment specialists, many organizations are left with little or no choice. Sunrise Computers are proud to offer our services in the Middle East with specific focus on the UAE. We supply CCTV to a very large market from small domestic products to industrial and military grade security equipment. With access to hundreds of manufacturers, we can deliver the right solution for your needs. We can design and implement large scale systems including building security and retail management systems designed to protect assets and profits as well as protecting the health and safety of the public. Contact us for more information or read our Loss Prevention page for more details and demos. We offer a variety of service for small and large scale printers like printer installation, maintenance and repair solutions. Our main focus is on the importance of a Managed Print Strategy and offers a valuable way to reduce expenses on machine maintenance. We present you with accurate statistics on printing features and budgeting to suit new procurement or existing printing machinery management, cartridge refills and supply of all print accessories. 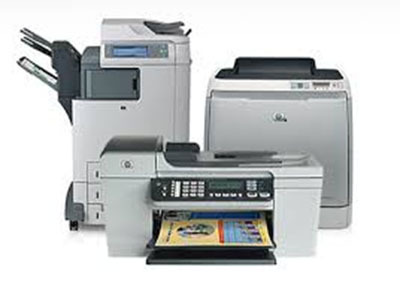 Sunrise Computer & Network LLC delivers comprehensive onsite repair, service, support and maintenance of printers and consumables throughout UAE. Sunrise Computer and Network LLC services provides complete and professional solution for all web design, logo design. The team has many years of experience in the web designing industry. Each of the professional comes from the background of convincing training in the design works. We're serving businesses & corporate across India and the world and equip them with the best possible means of delivering their message through multimedia presentation designing and graphic designing. Our multimedia presentation add the winning edge to their image, making their companies appear techno savvy in addition to achieving new levels of integrated communication. Effective communication is the key to today’s business environment and interactive channels like multimedia corporate presentation is a proven solution. In a typical work day you may communicate with customers, clients, co-workers (including superiors, subordinates and colleagues), vendors, volunteers or interns, and city, state and federal representatives. How well are you communicating with each?. Each form of communication draws on different skills, each requires different approaches and sometimes even a different lexicon. Sunrise Computer and Network LLC services provides a full interactive multimedia presentation designing service right from scripting to designing. As with all our services we add value to your multimedia presentation designing. We spend most of our consulting hours in understanding the need of the corporate presentation, goals to be achieved from the corporate presentation, personality of the individual who will present the corporate presentation to the audience, the behavioral mix of the target audience for whom the corporate presentation is prepared, the multimedia presentation environment, involvement of technology, budget used to prepare the corporate presentation etc. Corporate Presentations are the new age company profiles, that help in communicating and building a unique brand image for the company. A beautiful narration of company's history, background, team, products / services, infrastructure, facilities, achievements, contact details and many more vital informations will help the company to market its products and services in a better way. This will enable you to impress your clients at their comfort. We offer you a selection of e-Commerce options. We can provide you with a solution that gives you the power and functionality you need now, and can be upgraded when your business grows. We provide solution that works for all kinds of businesses. Our storefront can be used for virtually any business; you can sell Gifts, Jewelry, Grocery, Books, Watches, Garments, Computers, Electronics or anything else. Our store front is not a boxed product, when we take up the project; we make sure it works for products you are trying to sell. We even highlight your selling points and can further customize the store based on your needs. We become your development partners; we will provide you with a functional yet simplistic back-end control panel to manage product listings, order processing, payments and sales trends. With total control of your e-Commerce site you will be able to control stock availability in real time, reduce dispatch, lead times and eliminate ongoing web development costs. Sunrise Computer & Network LLC is a professional web design company in Abu Dhabi offering services in web design, web development , CMS websites, search engine optimization, web hosting , content management system and flash websites. Sunrise Computer & Network LLC provide you with search engine optimization services that allow you to concentrate on running your business in Abu Dhabi and Dubai. Search engine optimization (SEO) as a subset of search engine marketing seeks to improve the number and quality of visitors to a web site. It can be measured by how often a visitor is using a specific keyword leads to a desired conversion action, such as making a purchase or requesting further information. In effect, SEO is marketing by appealing first to machine algorithms to increase search engine relevance and secondly to human visitors. A range of strategies and techniques are employed in SEO, including changes to a site's code or "on page factors" and getting links from other sites or "off page factors" Because SEO often requires making changes to the source code of a site, it is often most effective when incorporated into the initial development and design of a site, leading to the use of the term "Search Engine Friendly" to describe designs, menus, Content management systems and shopping carts that can be optimized easily and effectively. A high search engine ranking drives customers to your site. Our Search Engine Optimization Program will optimize your site for the top search engines' ranking algorithms and position you ahead of your competition. In a nutshell, SEO is collection of best practices that change your site in subtle ways that make improve the likelihood that your web site will appear in the top 10 results returned by a search engine. We don't require or expect you to be tied down with creating your meta tags or even knowing what meta tags are! We'll handle it all for you while keeping you in the loop. As part of this service, We'll produce search engine submission and ranking reports for you. These reports will allow you to see the effectiveness of our efforts as well as help fine-tune future optimizations. We are identified as one of the reliable companies offering Annual Maintenance Contract for Computers in Abu dhabi, UAE. We offer phone and on-site support of desktop and server operating systems as well as support for a wide range of hardware. We aim to provide you with the highest possible level of customer service. When you call us we assign you with an experienced technician who can provide you with an 'end-to-end' resolution to your problem. Our technician will assess your situation, before recommending a course of action. If it is necessary to buy new parts or software than the technician will install these and ensure that you have a working system. For fast, efficient more cost-effective support, Clear Intentions can instigate a protocol to manage your company's IT systems remotely. Problems can be fixed quickly with minimum impact on your business and without waiting for a technician. We always think that prevention is better than cure, as we also believe that proper maintenance and follow-up provides lowest down time in case of computer systems. Most of the IT suppliers are unable to provide proper after sales support, simply because they concentration only on sales targets. Our company focuses not only on sales but more over on the after sales customer support system, to provide protection or safeguard your IT equipment and run your business successfully without glitches. As a Pinnacle client, you are entitled to receiving exclusive maintenance and support service provided by our IT support experts. Our annual maintenance and support contracts ensure efficient functionality of all of your IT hardware may it be Server, PC, router, scanner, printer, storage systems, network systems, or any other IT equipment. We ensure minimum machine down time. Our team of support engineers is always on alert to solve your problem irrelevant of Software or Hardware.